I used Sharon’s block 4 pattern. Sharon has many different block patterns that she freely shares and I’ve found it saves a lot of time when I use them. Thank you Sharon. It’s hard to believe the year is half over but it’s fun to do these little works between other projects. 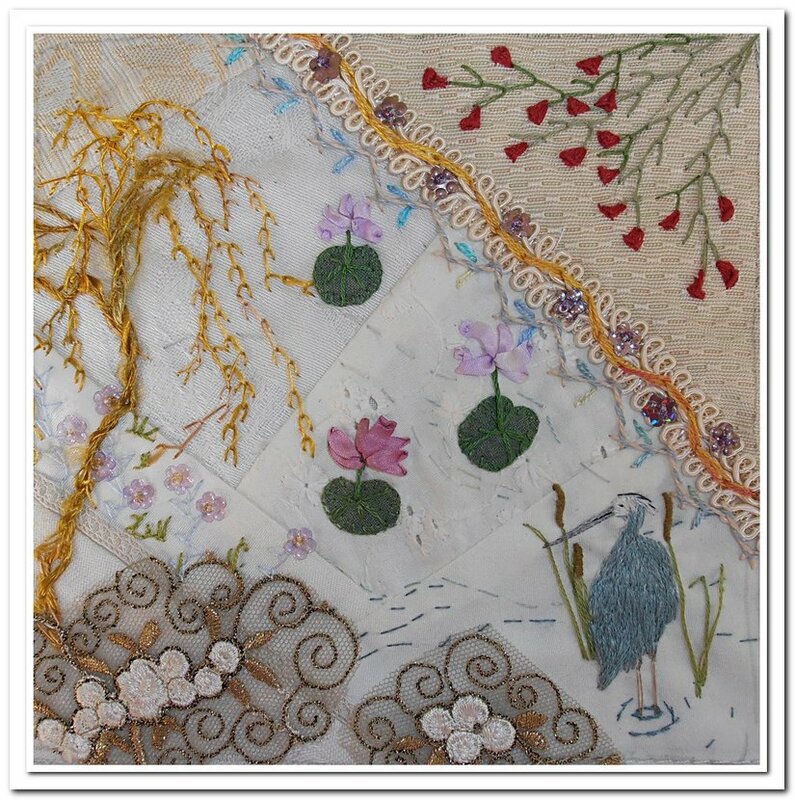 Wonderful stitching, I love your bird and tree well all of it. You’ve got a whole landscape here! Thank you Debbie, Barbara and Queenie. My inspiration was running late this month but I got there. It was fun as usual, to work around a bird. Love the scenery on your block. This is so interesting, and especially love the bird and waterlillies as well as the tree.. 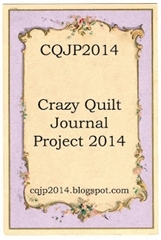 I absolutely love the CQJP2014 blocks you have made. The heron on this one is gorgeous!